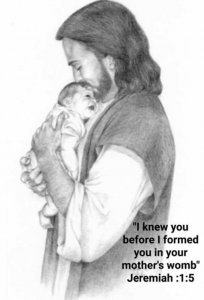 March 27, 2019: BORN ALIVE ABORTION SURVIVORS PROTECTION ACT (This Bill would make sure that babies who survive abortion would not be killed or left to die) Please call U.S. Representative Andy Kim: 202-225-4765 and tell him to take a vote and PASS THIS BILL. March 27, 2019:The New Jersey Senate and Assembly passed the PHYSICIAN’S ASSISTED SUICIDE BILL. Gov. Murphy is waiting to hear from the people of New Jersey before he decides whether or not to sign this bill into law. It is urgent that you call Gov. Murphy and tell him NOT TO SIGN IT INTO LAW: Phone: 609-292-6000 or email https://www.state.nj.us/governor/contact. Thank you. must protect and nurture human life at every stage of its existence. News: February 8, 2019: US SENATE BILL S311 BORN ALIVE ABORTION SURVIVORS PROTECTION ACT would make it a law that any baby born alive from an abortion would receive full medical attention to save the baby’s life. Call Senator Booker 202-224-3224 and Senator Menendez 202-224-4744 and tell them to vote YES. Please call U.S. Representative Andy Kim’s office at 202-225-4765 to let him know that you do not want taxpayer funds being used to fund abortions Thank you.